Yes, THIS. I have hit a pretty huge speed bump on my road to being finished. A major setback that’ll add at least three more months to this process. When I had my prophylactic bilateral mastectomy in January, I expected to be finished by mid-summer. HA! It’s almost January again! Yes, I’m devastated and angry, but there really isn’t anything I can do about it now except focus on recovery and what’s ahead of me. Attitude really is everything. While you cannot always control what happens to you or around you, you have complete control over your reaction to it. I have chosen to continue to be positive, because the alternative won’t help anyone or improve my situation. I saw Dr. M for a follow up on Friday. The Lone Drainger is out! Whoop whoop! I was producing less than 15 mL/day. Culture results are good and show no signs of infection. This doesn’t mean I didn’t have one, it means that the antibiotics I have been on since Monday are working. I might not have to have a tissue expander!!! Dr. M thinks the tissue won’t retract so much that I would have to start all over. If all looks good in a few months, he will place the implant via a small hole in my armpit using the TESSA technique (Transaxillary Endoscopic Subpectoral Smooth Augmentation). This was the best news! It also means that we will NOT have to mess with the incision/scar again. 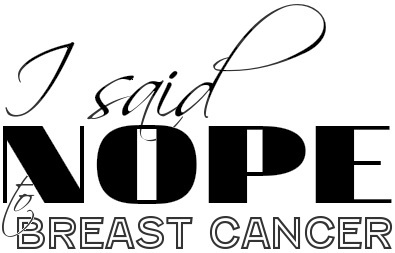 This entry was posted in All, Complication City and tagged breast cancer, breast reconstruction, Complication, health, Mastectomy, Surgical drain, TESSA, Tissue expander on October 19, 2013 by nope2BC. thats great news! and yes you are right, ATTITUDE IS EVERYTHING! Keep focusing on the positives. One day at a time.